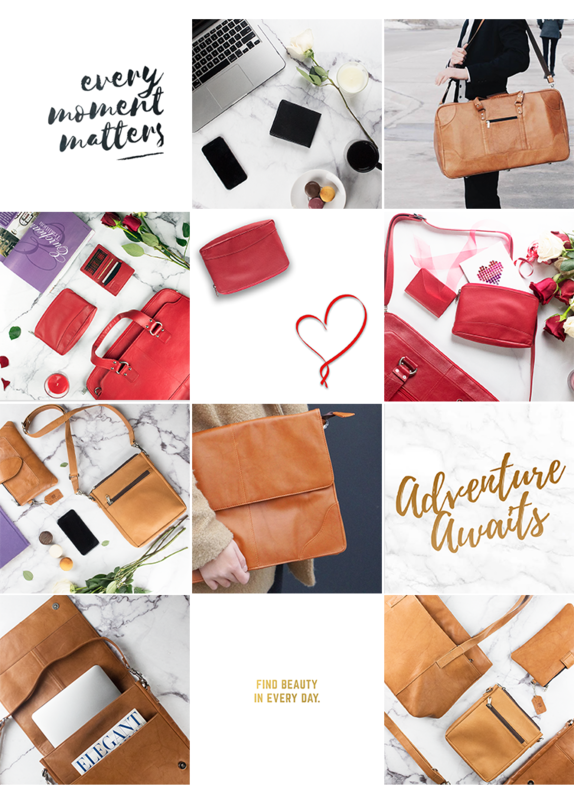 Ashlin Leather is a company specializing in high quality leather goods. They’ve had success via their wholesale channel, and were looking to establish themselves as an online retailer – starting with a fresh and active social media presence. We provided organic social media content creation via flat lay photography, lifestyle photography, and digital design.